We’ve all seen the hell of old legacy code in our ColdFusion applications. 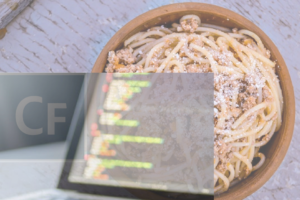 Non-framework code, spaghetti code, duplicate code, or unused code (Deadwood)… it’s all the same. Maintenance efficiency is a thing of the past and code usefulness is gone. How do you move from that legacy hell to a heaven of modern CFML with easier maintenance and deployment, fewer bugs, and streamlined code? Fear not! There is a way, and it’s easier than you think. 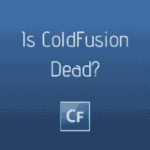 What is Legacy ColdFusion and Why is it Hell? Why Do Most Projects Using Legacy Code Fail? Legacy ColdFusion is code developed years ago in an old style of CFML. Sadly, many applications still run on this ancient framework. Often this code is “spaghetti code” or an unstructured and duplicated mess. There can also be quite a bit of unused code –deadwood- that makes it harder to change or update because you don’t know what code is being used. It is hell if you experience bugs. It’s usually a very hard process to go about fixing them and can be very expensive. It’s like a game of Whack-a-Mole; once you fix one bug, two more pop up somewhere else. Imagine you are on a team of developers working on a huge legacy application. There is a security bug somewhere in the code. The future of the company relies on your team’s ability to find and fix these bugs and ensure they don’t pop up again. Now imagine going through thousands of lines of unused or duplicated code. With the clock ticking, you may be lucky to find the bug until more bugs pop up somewhere else. A nightmare, right? What is the Answer? Most of us understand that moving our legacy applications to modern CFML is smart and well worth the resources you spend doing it. To those still holding back, here are a few reasons why modern CFML is heaven compared to legacy. Modern, Responsive Front-End- It works on both mobile and desktop browsers seamlessly. When starting a new project, most ColdFusion development teams follow the rule of the Iron Triangle (or project management triangle). According to the article by Robert Swisher, “Fast, Good or Cheap. Pick Three?” on business.com, by introducing the concept of “Lean” (or The Lean Startup Method, by Eric Ries), it is possible to have all three in your applications. Code refactoring is improving the internal structure of the code while preserving its external behavior. Decide what code belongs in the Model, the View, and how the Controller ties the two together. Use Version control such as Git. Nolan Erck brings up another point in the ColdFusion Alive Podcast #059, “Migrating legacy CFML to MVC (Model View Controller).” Whatever decisions you make about your project, make sure you don’t continue incurring technical debt. Make the right decisions up front and take the time to do things right, and you won’t have built-up trouble later in the life of the application. 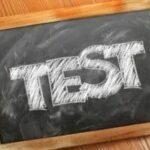 Efficient workflow – Maintaining an efficient workflow in both your development and the design of the ColdFusion application will ensure that your app will be easy to maintain and update. 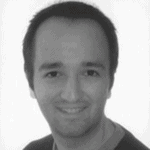 Use version control – Using version control should be a given. Remember, the feeling of knowing your code is safe is priceless. Adhere to best practices, but realize they will change with time and innovation. The benefits you will receive in ease of maintenance and deployment along with fewer bugs will be refreshing. You will wonder why you didn’t make the change long ago! Don’t be worried about the money you have to invest. The money you save in the long run will more than make up for the little you spend upgrading your applications.